This event gives you the opportunity to connect with sales reps from a dozen different lab supply companies to discover new products that are available to use in your labs and help further your research. 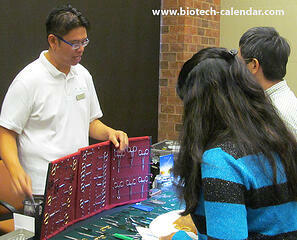 Take a break from your research and come out to the event to see what's new in the world of life science supplies, get your questions answered, learn about new options available, and collect fun swag items from different companies. Researchers, PI's, lab managers, professors, post docs, grad students, purchasing agents, and other lab staff are invited to stop by the event to meet face-to-face with different lab supply companies to learn about new tools and technologies that are available. 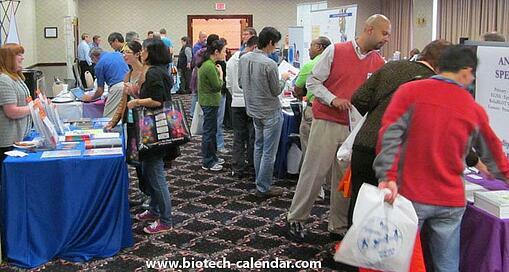 Attendees of the 2014 BioResearch Product Faire™ discover new supplies to use in their labs. Fun door prize items and a complimentary breakfast and lunch buffet will also be available to attendees. Bagels, pizza, sandwiches, beverages, and dessert items will be available throughout the event for everyone to munch on. Early birds will receive a popular #ScienceNinja tee shirt, and those who stop by after 1:00 p.m. will have the chance to take home a Science Ninja lab coat. The door prize booth will provide all attendees with a fun goodie to take home once they've visited with the companies present, and all attendees will be entered into a drawing to win a final, big door prize (you do not have to be present to win). To view more photos from the 2014 event, visit the photo gallery here. 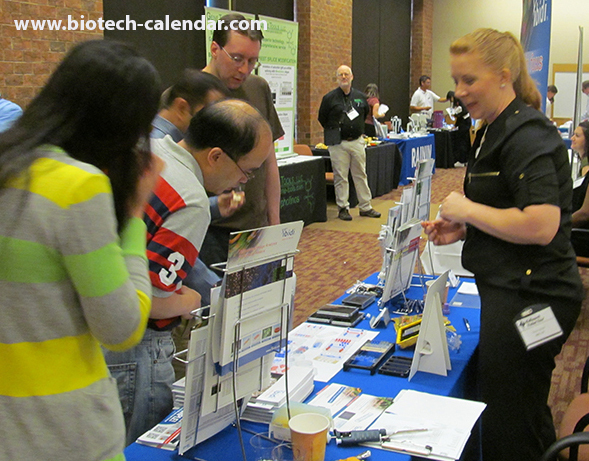 Mark your calendars now and save the date for he 6th Annual BioResearch Product Faire™ Event at Thomas Jefferson University on Wednesday, May 6, 2015 from 10:00 a.m. to 2:30 p.m. Lab supply companies interested in participating in the Thomas Jefferson University marketplace are invited to visit the following link to learn more about exhibiting in Philadelphia.